For my first research stay, I didn’t go very far: just a one hour flight away from Copenhagen, in Berlin, Germany. 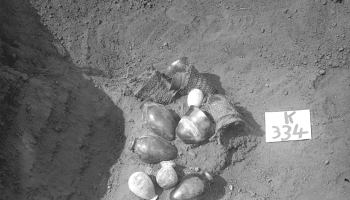 My main objective was to study the textile tools discovered on the Meroitic town of Hamadab, in Central Sudan, excavated by the DAI team since 2002. Co-directed by Pawel Wolf and Ulrike Nowotnick, the mission has uncovered a large part of the town’s plan, revealing living quarters, industrial areas, religious structures and official buildings. 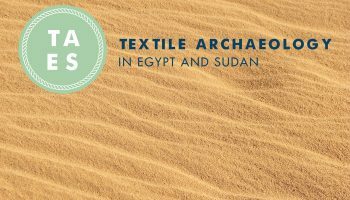 Despite the lack of organic conservation, many textile-related artefacts have been found alongside the remains of the Late Meroitic occupation phases. Spindle whorls form the bulk of the corpus, to which several loom weights can be usefully added. As a whole, this material fits well into the picture of textile production that is emerging from several sites in the Island of Meroe (e.g. Mouweis, el-Hassa, and Meroe itself). Beside the typology of the objects themselves, I would really like to establish the precise findspot of each tool so as to understand their context of use and, hopefully, reconstruct the landscape of textile production on the site. How may one do that from a handful of small and seemingly non-descript objects? 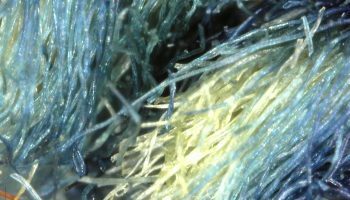 This is where “textile archaeology”, as a discipline, can actually perform at its best. So here I am, armed with this methodology and database-ready, to study textile tools in Berlin. 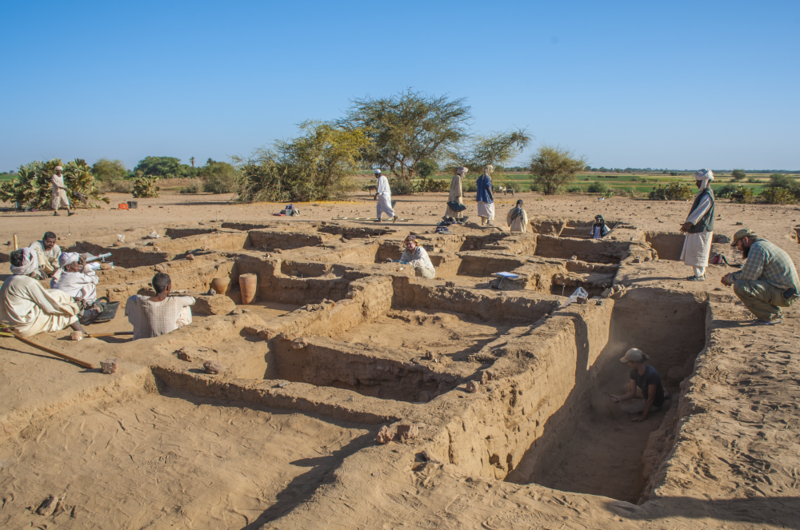 Did I mention that the Hamadab finds are stored in the excavation magazines…in Sudan? What am I doing in Berlin then? Two words: Finds Office. And a name: Saskia Büchner. I use caps for both because I feel like they are equally as great and so closely interrelated. If the War Office was the place in England where everything and everybody of importance transited during WWII, then the Finds Office is where every objects discovered during Hamadab (& others!) 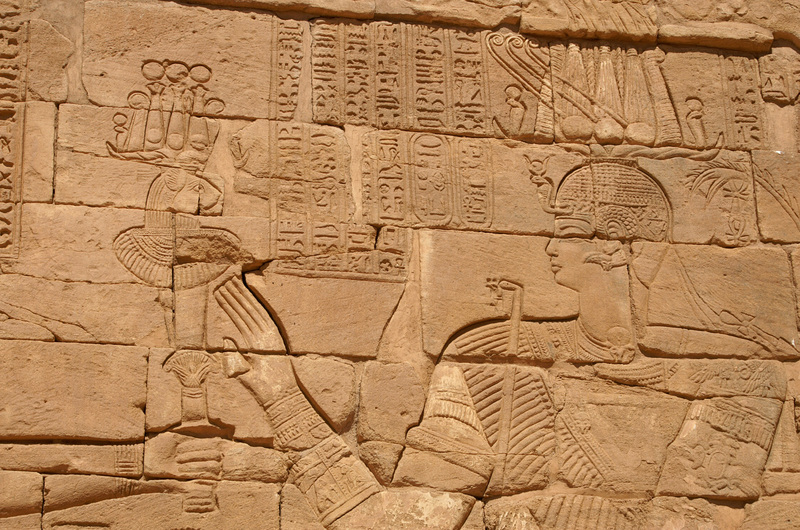 excavations attain their coveted status of “archaeological artefacts”. 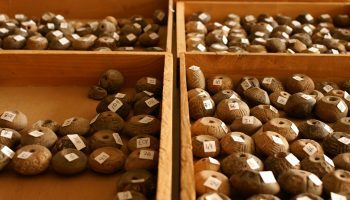 Every piece is inventoried, recorded, drawn, and photographed, from hundreds of kilograms of pottery sherds, to arrow heads, to…spindle whorls! And when I say “recorded”, I mean top-of-the-line minute details which, in the case of textile implements, can make a world of difference. The weight of the tool is particularly important to measure. I almost fell off my chair when Saskia mentioned she made estimations of calculated weight for spindle whorl fragments! This thorough approach has been promoted since the beginning of the excavation and implemented through a network of databases and photo libraries created by Pawel Wolf, Ulrike Nowotnick and Catharine Hof, and curated by Saskia since 2014. Her expert handling meant that going to Berlin was the natural and easy first step. I now have every information I could possibly need to proceed with my study and analyses. Seeing the objects in person would of course be an appreciable cherry-on-the-cake, but in the meantime, I gained invaluable insights while saving much time and financial resources. I would really like to thank Pawel Wolf and Saskia Büchner for opening their digital cupboards to me and sharing their knowledge and experience on archaeological data management. Reference: For a detailed presentation of Meroitic spinning tools, see E. Yvanez, “Spinning in Meroitic Sudan: Textile Production Implements from Abu Geili,”Dotawo: A Journal of Nubian Studies: Vol. 3 , Article 9, 2016.